thank you for your patience and bearing with silence on #IS for last 2 weeks or so. I would like to share with you all news and updates, which kept me on my toes since last shipment on 16th June. I must tell you, it has been unbelievable 2 weeks. Curious? Let’s go, then. 4 weeks in Dubai (from 28th May till 25th June) were full of meetings, networking, learning, opportunity hunting and of course shipping of blog posts. It seems a bit symbolic, that I had to be out of country to create the most action inspiring blog posts of my life. (so far). Read on. #1 Blog post -> 12 reason, why you should be on Twitter. Only 8 days after my Slovak shipment about Twitter, I have shipped the longest blog post of my life. Why? It was reaction to one video, which my Dad shared with me when I was in Dubai. Video was from a conference of Slovak Ministry of Education, where they have been discussing ‘investment’ of 6 million EUR into ‘interactive’ digital content for Slovak schools. What did I write about? I took my time to analyze 45 min long video minute by minute and I have offered different point of view on each ‘argument’ of Slovak teachers and vendors fighting for this fat cut from Slovak government budget…It took me 2 days to put it all together. Result? This blog post went viral! It was viewed by 13 400+ people since 23rd June, when it was published. I am still blown away by it. But that was not all -> at the end of the blog post I have put Google Form where people who care to do something about Slovak educational system could sign up. Result? Till now, 86 people signed up! Simply unbelievable. So, unknowingly I have got myself into (r)evolution in Slovakia. I will certainly keep you posted how are we progressing. Then, I had meetings in Bratislava after my come-back from Dubai. 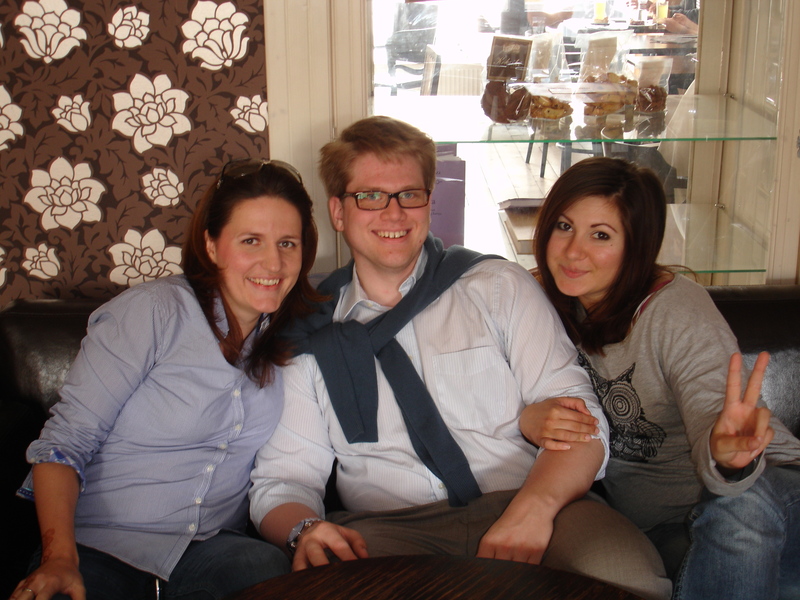 Matej and Martina took me for brunch after my arrival from Dubai. It was truly amazing treat for my soul and stomach;-) Thank you, guys! 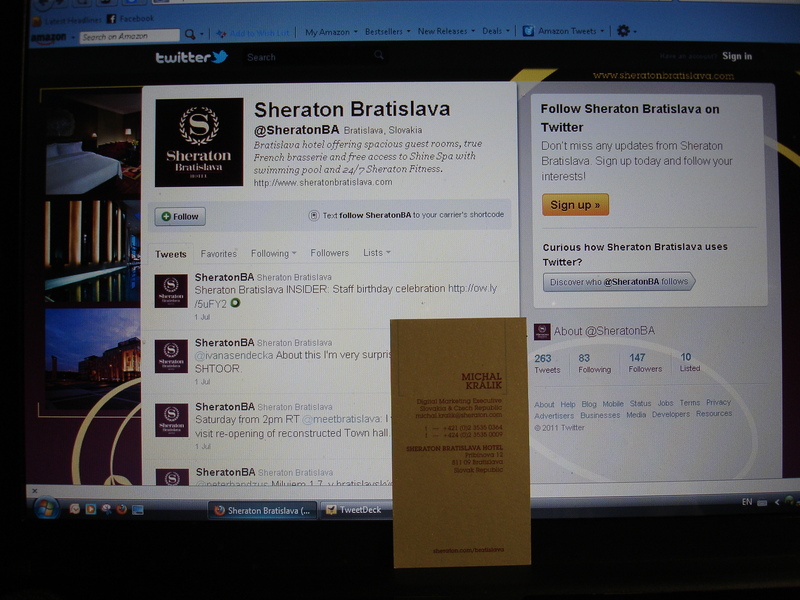 I was tweeting away with Sheraton Hotel (@SheratonBA) for few months, after they have discovered me in the article in Slovak magazine, where I talked about social media. Then, we have agreed, that when I am back from Dubai, that I will stop by for a coffee. So, I did. 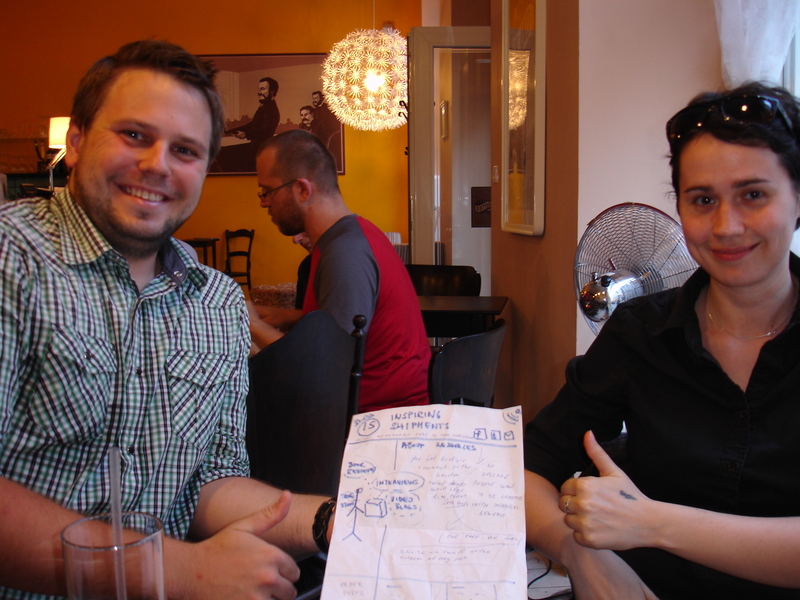 We had amazing chat and except coffee I got a treat 2.0 -> 24 hours wi-fi pass for their internet network. I simply love power of social media! Don’t you? After 300 plus posts, I have posted last shipment on my Posterous blog and I have started to ship interesting videos and more inspiration for your soul on Tumblr. Thanks to Waqas Ali for setting up #IS for Tumblr. You can see preview of new look for supplementary dose of inspiration for our tribe bellow. 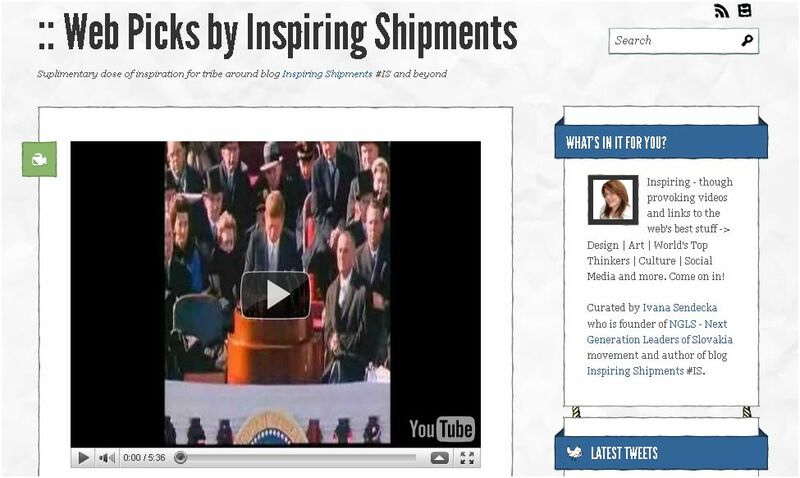 I will not mind at all if you will start to sneeze and follow Web Picks by Inspiring Shipments, too. I have also reduced quite a number of friends on my personal Facebook page -> Reason for that was, that I will be moving most of my updates to official Facebook page for #IS and I want to keep my personal Facebook page more intimate. Therefore, those who found out we are ‘not’ friends anymore -> please don’t take it personally at all -> you know where to find me and how to reach out to me even without Facebook. Bellow is print-screen shot of our Facebook home -> so, if you are not there yet -> I will like, if you “Like” #IS there, too. And I have almost forgotten -> since 18th June I am one year wiser (scary, huh?) -> I want to thank to my dear friends in Dubai for making my special day even more memorable. You so rock! Shukran, ya’ll. what did you ship? How was your June 2011? What unexpected things emerged on your path? Did you take up any new challenge(s)? P.S. : One more highlight on “impact theme” -> one young lady – Lenka, who attended NGLS #2 in January 2011 -> has written her Bachelor degree thesis about #NGLS and marketing/communication tools used to make it happen. How cool is that? You can check out post about it, here. Getting out from your town/country gives you the right perspective to neutralize biases. You have a more accurate general view about the subject, education in this case, because you are perceiving what’s intelligent and what isn’t from different places. Not only perceiving but doing something about it. Every country needs at least one Ivanna leading that kind of job. How to go, Ivana. You are a force of nature, girl. You did it all from the heart with generosity. Plus you gave a shout out to TEDxNovaScotia when we needed it and translated a magazine article. Wow. HUGS my friend and who knows maybe one day I will share my story with you people of Nova Scotia too. That’s my thougt for you Ivi. I have no words, Rasto…. It looks like you had a great time and have some fresh perspective and experience to grow on. Spot on, J.D. -> it has been a month absolutely packed with learning experiences.